Blossom Pokémon TCG Card 1. 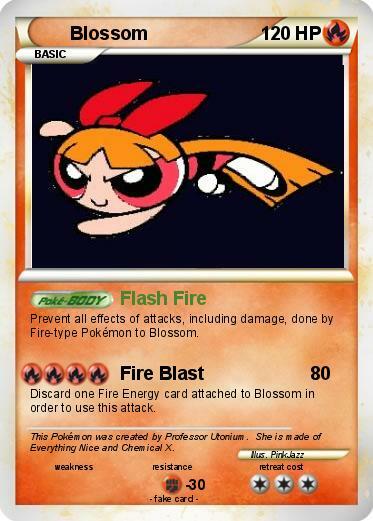 Here is the first of the Pokémon TCG cards of Blossom, this one as a Fire-type.. Wallpaper and background images in the Blossom (powerpuff girls) club tagged: blossom ppg powerpuff girls tcg pokemon card fire. Here is the first of the Pokémon TCG cards of Blossom, this one as a Fire-type.